SNIP: As an uncontrollable wildfire turned the California town of Paradise to ash, air pollution researcher Keith Bein knew he had to act fast: Little is known about toxic chemicals released when a whole town burns, and the wind would soon blow away evidence. 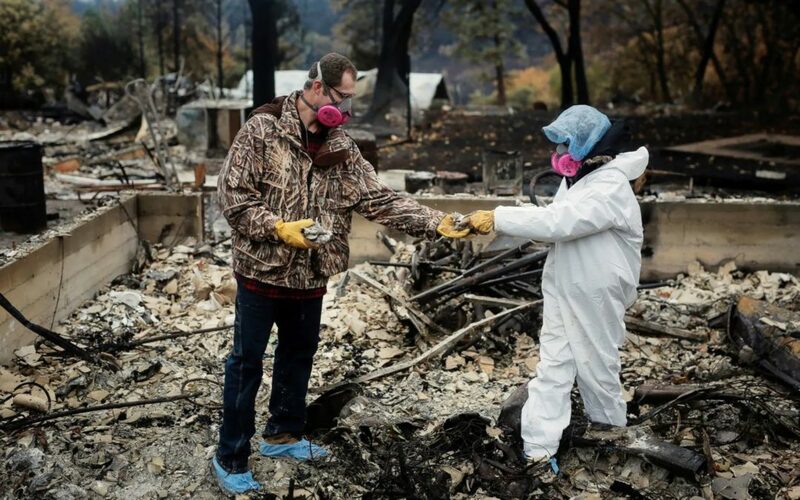 It was the second time Bein says he was unable to gather ­post-wildfire research in a field so new public safety agencies have not yet developed procedures for allowing scientists into restricted areas. Researchers are examining soil tested for the presence of chemical compounds in neighborhoods destroyed by the 2017 wildfire that swept into Santa Rosa, in California’s Sonoma County north of the Bay Area, and comparing it to uninhabited land nearby where only trees had burned, ­Hertz-Picciotto said. In that still-uncompleted study, researchers found nearly 2,000 more chemical compounds in the soil than in uninhabited parkland nearby. Researchers are now working to identify the compounds.